Most of us in the religion business can relate to this scenario: you are on a plane and end up sitting next to someone who asks you, “What do you do for a living?” Over the years I’ve come up with a response that is partially true. I’m a professor of New Testament but my background is in philosophy and critical theory. So I’ll most likely respond that I teach philosophy. The rationale behind this strategy will be familiar to any biblical scholar or theologian: if you “come out” as studying a sacred text, you are likely to be lectured (people have very strong opinions about what the Bible says) or be asked quite random questions. People in the United States are hardly ever indifferent to the Bible: they will stand on it to throw stones at you, or they have been, well, stoned by those throwing the stones. Saying I’m a philosophy professor allows me to engage with that chatty person where their emotional attachment, whether positive or negative, does not determine the conversation. This is the response that I would like to give on the plane to that chatty person who is eager to ask, and more importantly listen to, the question of what is it that “biblical scholars” do or don’t do. Biblical scholars do not study the Bible. This might be a surprise for many, but the business of being a biblical scholar doesn’t equate with studying the Bible itself. Although the majority of biblical critics fall into two categories—Hebrew Bible or New Testament scholars—there are a good number of specialists who study intertestamental literature, apocryphal writings, material culture, ancient Near Eastern history, etc. Biblical scholars are not theologians. Traditionally biblical scholarship has been married to theology. This relationship is somewhat fraught. 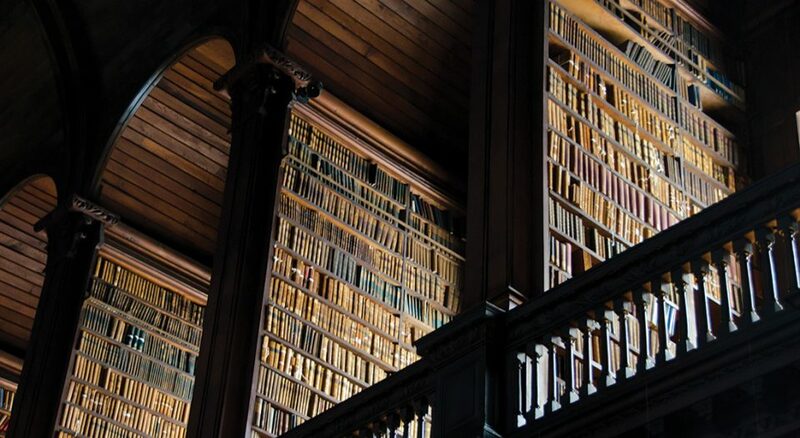 Whereas theology systematizes and rationalizes Christian belief, many biblical scholars focus on textual aspects that aren’t easily systematized. The Bible, furthermore, is a library that contains many voices that sometimes speak against each other, creating a variety of voices, positions, arguments, stories and narratives that are at odds with each other. Biblical scholars occasionally take pride in emphasizing such diversity of voices in order to unsettle theological truisms. Biblical scholars are not historians. Many biblical scholars interpret biblical texts in their historical contexts and exegete (critically interpret) biblical narratives to have more sophisticated insights into history. But the relationship between text and history is fraught with difficulties: texts do not only reflect historical reality, they also create it. Furthermore, many scholars aren’t primarily concerned with the historical past but with the political and cultural present: the biblical text is important for its significant cultural influence, for its religious import, for how it is experienced by different communities across the globe, and for its role in political oppression and liberation. Biblical scholars do not read the Bible in Hebrew and Greek. Classical languages (and modern ones) are a requisite of most doctoral programs and, consequently, any biblical scholar knows both Hebrew and Greek (among other ancient and modern languages). But for many biblical scholars, the original languages don’t determine the “meaning” of the Bible. Consider, for instance, the history of textual translations or the study of reception history whereby academics focus on how particular biblical texts have been reinterpreted in art, novels, movies, or other political and cultural texts. Biblical scholars are not “objective” intellectuals. Biblical scholarship is an intellectual enterprise. But scholarship in the field of biblical studies is always linked with ideological, political, cultural and religious commitments. Although there are topics in the field that might be considered value-free (the synoptic problem, textual criticism, etc. ), many biblical scholars think of their task as studying the text as an instrument of social justice, political change, as a means for social activism. In fact, many biblical scholars aren’t traditional “professors” teaching at colleges and universities, but independent researchers whose main goal is to reach out to different communities outside academia. Biblical scholars do not read the Bible for the church. This is certainly the case in most seminaries and religiously affiliated universities, but many professional critics research and teach the Bible to students outside of the church who are interested in these ancient documents merely from a historical perspective. Very much like they would study the works of philosophers Plato or Cicero, this scholarship approaches the Bible from the perspective of intellectual history. The Bible, in the end, is “the word of God,” a religious document, a source of faith for believers. But it also is a historical document, a cultural phenomenon, a literary text, an occasion to build political arguments, a source of inspiration for activists, etc. Biblical scholars see themselves as accounting for all these biblical manifestations. Menendez-Antuna is an assistant professor of New Testament at Pacific Lutheran Theological Seminary of California Lutheran University.